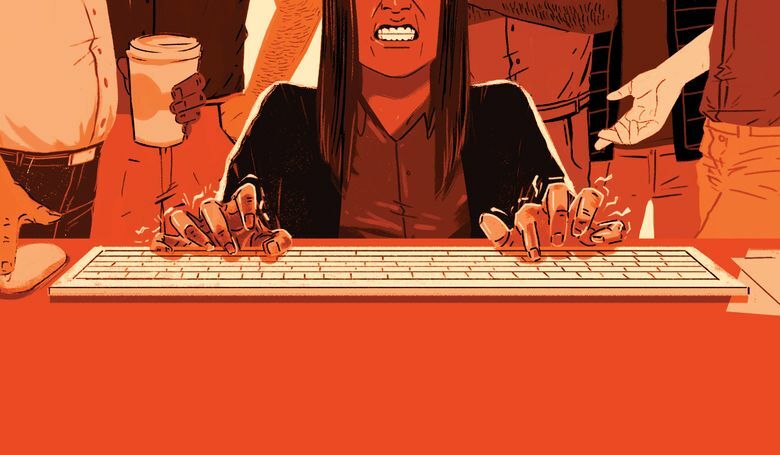 Court filings, internal documents and interviews with employees illustrate why Microsoft has failed to hire or retain more women: Widespread complaints focus on a culture of casual sexism, a male-dominated hierarchy slow to change, and poor resolution of grievances. 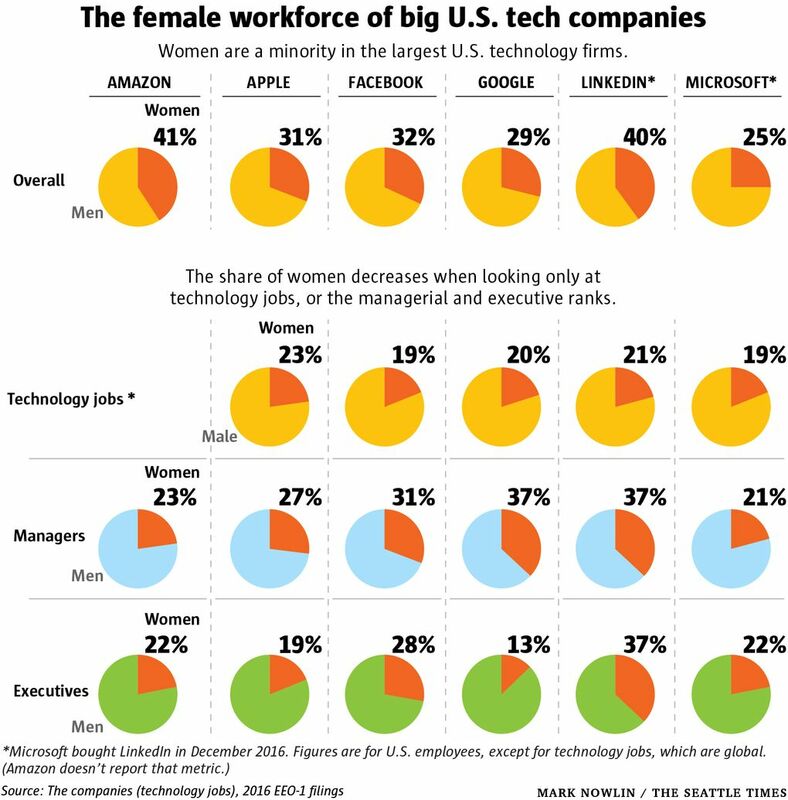 Microsoft says it has made progress in recent years building a culture more welcoming to women. 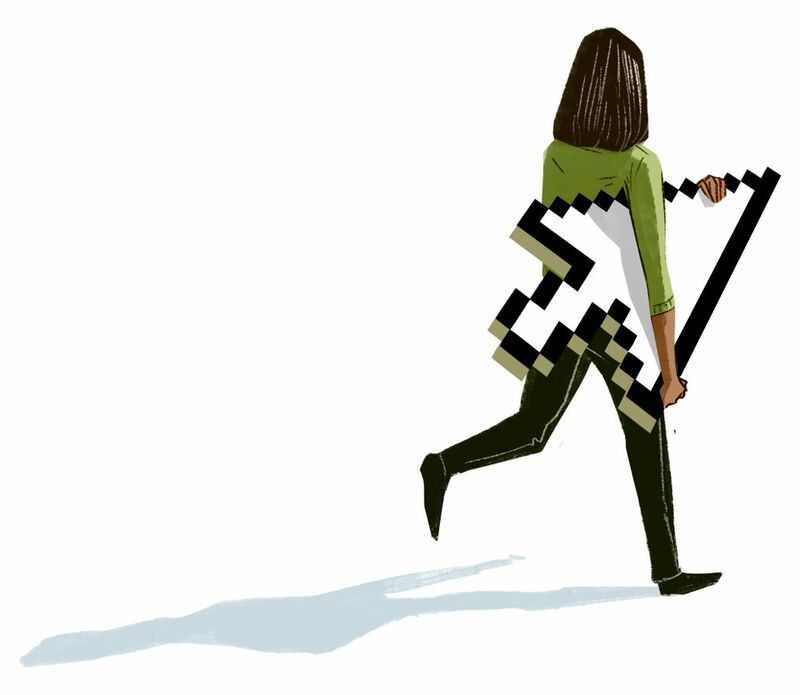 But as technology giants face scrutiny for their hiring practices, interviews with employees, past and present, help explain why the company has struggled to create a balanced workforce many years after declaring diversity a priority. The company denies the allegations, saying there is no pay gap in its ranks and that its treatment of women complies with the law. 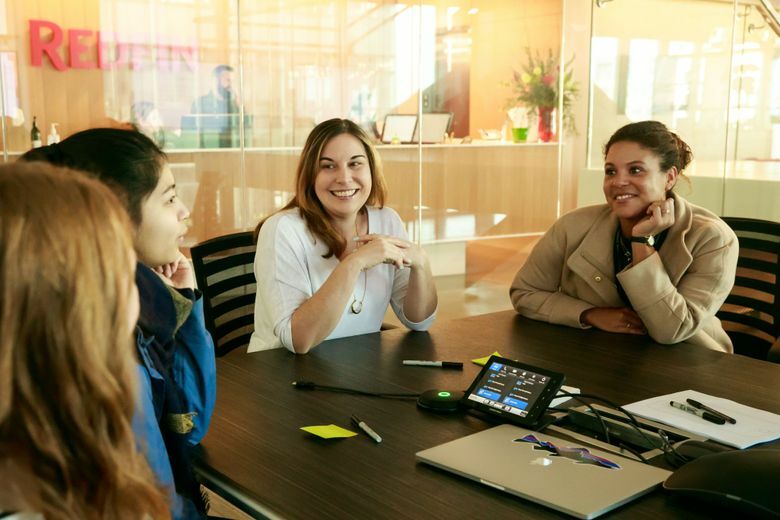 The company’s budget for diversity and inclusion projects — including training, recruiting efforts and other programming — was $55 million this year, up from $13 million a few years ago. 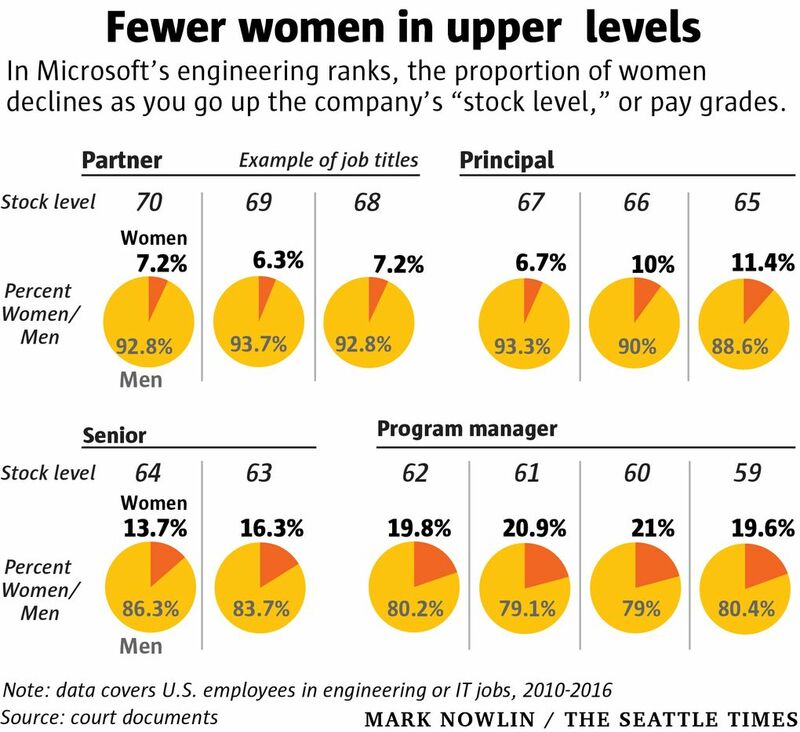 Microsoft says it has had some success, including a slow but steady rise in women in senior-level jobs — to 18.8 percent last year, from 10.9 percent in 2001 — and a recent uptick in the female share of new hires. Executives and spokespeople also say they are grappling with an industrywide problem. Twitter, Google and Oracle are also facing gender-discrimination lawsuits, and Uber recently settled one. That percentage has declined as the company has grown. In 2016, the most recent year for which data is available, Microsoft’s U.S. workforce was 24.5 percent female. Microsoft was just starting its meteoric rise at the same time that the share of U.S. computer-science degrees going to women was plunging, a phenomenon some researchers attribute to the marketing of personal computers as toys for boys. Change at the company as a whole was slow in coming, though. After reporting him to human resources, she was transferred to another unit, only to find that, after a subsequent shuffle of office space, she was posted just two doors down from her harasser, she said in a lawsuit. She developed post-traumatic stress disorder, her complaint said, and left the company. The case was settled out of court. She was unable to transfer to another team at Microsoft, she would claim in a subsequent lawsuit, which she later withdrew. Microsoft denied wrongdoing in the two discrimination cases. 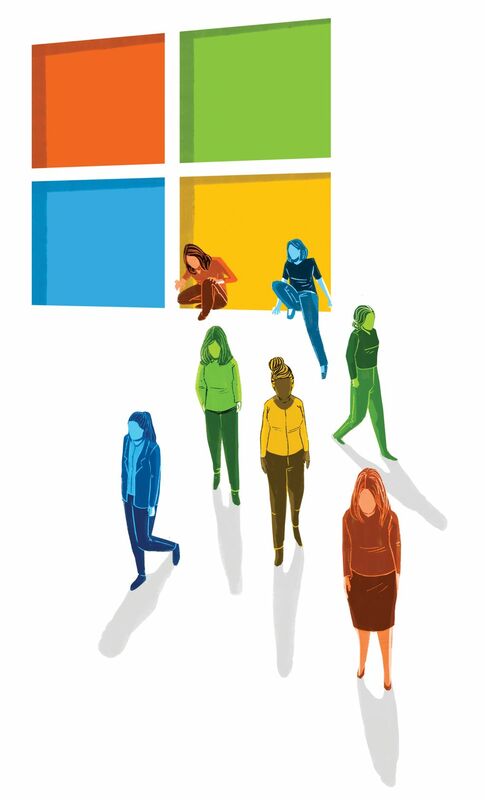 Microsoft said that tally was misleading because it was based on incomplete data, and responded with separate data showing that, during the most recent fiscal year, investigators determined 10 percent of gender discrimination complaints were founded in whole or in part. The company added that it fired about 20 people following sexual harassment investigations that year. Editor’s note: Balancing concern for the subjects of this story with our desire to foster discussion around the issues the story explores, we have taken the step of pre-moderating this story’s comments. As a result, comments on this page may take longer than usual to appear. Comments that don’t violate our Terms of Service will be approved.